As you know, Bowling is a sport that is a kind of fun, in which you have to throw the ball into the pins ahead and put them all! Maybe you live in an area that does not have access to bowling or is so busy working that you do not have enough time to experience the actual bowling experience, that’s where we offer you the most appealing and popular PBA® Bowling Challenge! 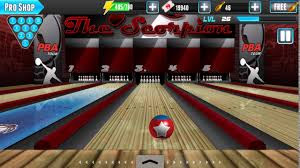 By installing the PBA® Bowling Challenge on your Android device, you can access Bowling at any place and time and experience this fun sport anywhere! The game includes dozens of different modes, you can choose from among them one and watch for hours! Your exercise takes place in different places and environments, and it can be said that the best Bowling game is in your hands.